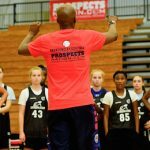 Class of 2021 prospect Hannah Fuller of Greenville, S.C. has shown herself as a must watch for college coaches and the BrandonClayScouting.com staff alike. 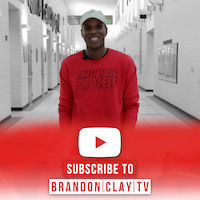 Brandon Clay’s takeaway – EBAFab5 Middle School Showcase (Feb. 2017): Fuller is continuing to grow physically. Her game is rounding out as a result. She was one of the most skilled perimeter players in this setting of elite middle school prospects. Fuller shoots the ball well but developing her handle has been a priority. It’s evident that she’s been working on that. She’s a multi-sport athlete competing at the high school level in all of those sports despite her age. Jonathan Hemingway’s takeaway – EBAAllAmerican Camp (Sept. 2016): Fuller is a shooting guard that continues to zip the nets at EBA Camps. She works hard in drills and is always looking for ways to stretch her game. Her quick accurate release is far ahead of many guards at her same age. Developing her off the dribble game will be important for her moving forward. It’s easy to see that ‘21 SG Hannah Fuller (SC) is having fun as her game continues to grow. Can’t wait to get a fresh eval & social content on ‘21 G Hannah Fuller. She’s a talented from South Carolina. ‘21 G Hannah Fuller (SC) is off to a great start in January. ‘21 SG Hannah Fuller (SC) visited Alabama last month. 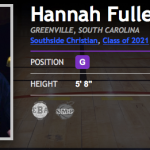 ‘21 G Hannah Fuller (SC) is well rounded. She’s on the varsity volleyball team & was also named to sophomore homecoming court. #BrandonClayScouting: Excited to see ‘21 G Hannah Fuller play on July 6-7 at #PSBSummerKickoff. Georgia Southern will be there. This weekend, she worked with one of my favorite GSU alums ever in Carolyn Whitney. ‘21 G Hannah Fuller (SC) has a new eval from my desk on her card. Her game continues to grow. 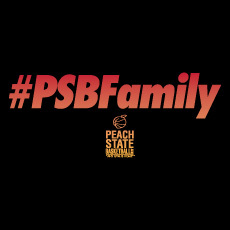 We’ll see her at #PSBSummerKickoff. ‘21 G Hannah Fuller (SC) was named All-State for her 2017-18 play. The #SMPMember is an EBA veteran. 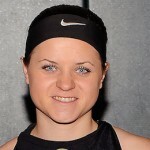 Hannah Fuller is a Spotlight Player on Sat. She gets a special small group session. 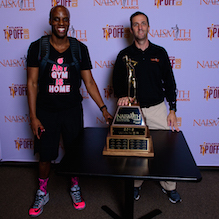 We’ll break down offensive footwork w/the #SMPMember. Cost is $150 per before Feb 26. 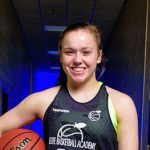 Hannah Fuller (#SMPMember) gets a @ParallelsMedia_  highlight & an eval from me. #SMPMember ’21 Hannah Fuller (@hcfuller03) established her rep as a knockdown shooter at #EBAAllAmerican. ‘21 G Hannah Fuller’s @hcfuller03 (SC) freshman season started tonight. ’21 G @hcfuller03 (SC) gets better w/each eval. Hannah Fuller of Carolina Hoopsterz is on our #PSBSummerKickoff Watch. 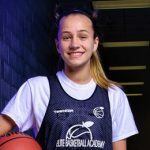 ’21 G Hannah Fuller showed growth at #EBAFab5 Middle School Showcase. Sat/Sun#SMPMember Hannah Fuller is in. ’21 G Hannah Fuller (SC) is ready to shine. 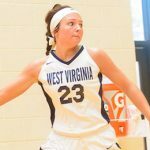 ’21 Hannah Fuller led her varsity team to a W.
See what @BrandonClayPSB said about @hcfuller03‘s game progression. 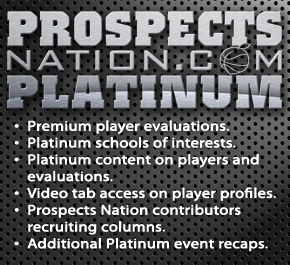 Hannah Fuller (@hcfuller03) has an updated eval on Prospects Nation. ’21 Hannah Fuller finished the HS year as a varsity starter.